Oracle FSS has unveiled a new packaged API solution that offers 1,500+ ready, functional APIs for payments, retail and corporate banking. These include specialised functionalities such as multiproduct originations, retail customer financial insights, bulk payments, and trade finance. 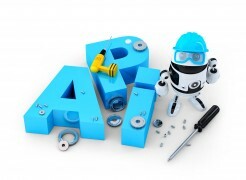 Oracle Banking APIs is “helping banks embarking on an open banking journey”, the vendor says. “Banks today are faced with the daunting task of identifying underlying systems, designing customised APIs and exposing them for consumption. This process can take between 12 to 24 months, depending on the complexity of the banks’ IT landscape,” Oracle FSS says. The vendor’s new solution will reduce this effort, it states, and will help the banks to gain “the early mover advantage”. Suzie Batten, CTO at Weatherbys Bank, which implemented Oracle FSS’s flagship core banking system, Flexcube, in 2016 (as reported exclusively by FinTech Futures), says the bank now relies on Oracle Banking APIs to “provide innovative tailored services, while managing customer consent, identity and security”. Also, Weatherbys Bank will comply with the revised Payment Services Directive (PSD2) and open banking rules in the UK with Oracle Banking APIs, she adds. The solution comes pre-integrated with existing Oracle FSS core banking systems, Oracle Banking Digital Experience, Oracle Identity Cloud Service and Oracle API Platform Cloud Service. The vendor adds that its offering can also work with “any core banking or online banking solution, identity management and API gateway solution”. As part of its Open Banking initiative Oracle FSS teamed with Oracle Cloud Start-up Accelerator (OCSA) and Oracle Scale-up Ecosystem to host its first fintech focused hackathon. 13 fintech start-ups – covering areas such as identity verification, artificial intelligence (AI), payments, credit scoring, personal financial management (PFM), account receivables and marketplace – were selected to participate. They were provided an API sandbox of Oracle Banking APIs to develop use cases. The hackathon participants comprise: Signzy, Active AI, Teknospire, Zwift Pay, KapitalWise, Bnesis, Qalize, Happay, Statanalytics, Lifesaver, Numberz, Raisin, and Unscrambl. Elsewhere, Oracle Retail has joined forces with its partner, payment platform Adyen, to deliver unified and global retail consumer payments.